McLaren chairman Ron Dennis insists there is no possibility Fernando Alonso could join Mercedes for 2016 as a replacement for Lewis Hamilton. Mercedes team boss Toto Wolff has described Alonso as "the top alternative" should the world champions fail to agree a new deal with Hamilton. 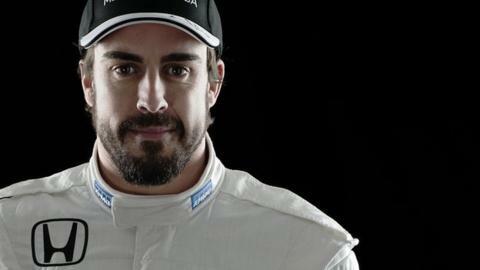 But Dennis told BBC Sport that Alonso was locked into his new McLaren deal. He said: "No McLaren driver has ever had performance clauses in his contract and that's the case with Fernando." The 33-year-old Spaniard, rated by many insiders as the best driver in F1, signed a three-year deal to return to the team he left in acrimonious circumstances at the end of 2007. Alonso asked for a release from his Ferrari contract two years early to join McLaren for this season because he believed their new engine partnership with Honda would ultimately give him a car with which he could win a third world title. Hamilton's Mercedes contract runs out at the end of 2015 and, despite saying that they would sit down and negotiate a new one at the end of last season, he and Mercedes have not yet done so. Hamilton earns $31m (£20.6m) a year plus bonuses, and a stumbling block in talks could be a potential disparity in his assessment of how much he should earn in his new contract and Mercedes' willingness to pay it. The team start the season as favourites and, if they can repeat their dominant form of last year, Wolff has a strong negotiating position. Dennis also denied persistent rumours that his future at McLaren, which he has led for 35 years, could be in doubt. The 67-year-old is trying to raise the money to take a majority shareholding in the McLaren Technology Group. Sources close to McLaren have claimed that if he does not do so by the end of this month, he could be ousted as chairman. But Dennis, who was speaking from China where he was attending a series of meetings in his role as a global advisory counsel to the China Minsheng Investment Corporation (CMI), said there was "no deadline" by which he had to raise the funds and "no consequences" if he did not. "Subject to my raising financial support there could be a restructure of some of the shareholding," Dennis said. "But all of the shareholders currently in the McLaren Group will remain, possibly in either a diluted form or a different structure." Dennis owns 25% of the McLaren Technology Group. His long-time partner Mansour Ojjeh, a Saudi businessman, holds a further 25%, with the remaining 50% owned by the Bahraini government's Mumtalakat investment fund. Dennis added that the shareholders had "a common objective and everybody is supportive of this initiative, which is to diversify and grow the company but not to the detriment of our F1 objectives, which are to return to competitiveness as soon as possible." Dennis denied that he was in China trying to raise money to fund his takeover of the group. He also played down recent claims from Red Bull motorsport adviser Helmut Marko that their team principal Christian Horner had been approached by McLaren last year. Asked if anyone at McLaren had approached Horner, Dennis said: "Not to my knowledge and I certainly didn't."